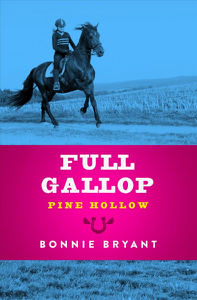 Ready or not, it’s time to forge ahead Carole’s making great headway with a green horse, Pine Hollow is growing, and her relationship with Ben is blooming. Everything’s perfect, right? Stevie is stretching herself to the limit with her eventing, Callie doesn’t have to be afraid of George anymore, and Lisa is crushing on a guy who feels the same way about her. Things finally seems to be falling into place for the Pine Hollow riders. But then, a tragic night brings a world of uncertainty. Are the girls ready to face real challenges? It’s time to hit the trail at a full gallop.